The saddest thing on Earth (or at least one of the very saddest things) must be a lonely Guinea Pig. While they are usually quite perky, a lonely Guinea Pig just sits in the corner with little appetite and dropping ears. Funny how you can see the ears dropping even though they are never in a different position, but something about the entire posture, the absence of whistling and lack of appetite is just heart-breaking. While away on a business trip, I decided not to replace Castor, but when I saw the little General as sad as described above, the decision was easy. The new one, not named as yet, got 24 hours indoors to cope with the initial shock of the move. All the time, he sat with the exact same expression of loneliness, so I brought the two together for a few hours on Sunday. It’s as if I flicked a switch; immediately, both start acting normally and eat, and are of course quite excited about the new mate. Of course, now they need to fight for dominance. The surviving General hasn’t woken up to the new situation, or is generally submissive. It is very clear that the new little bugger wants the job as top dog. They’ll get all day together tomorrow (and maybe I get a decent photo of the new recruit). Starting Tuesday, they should be together all day and night. 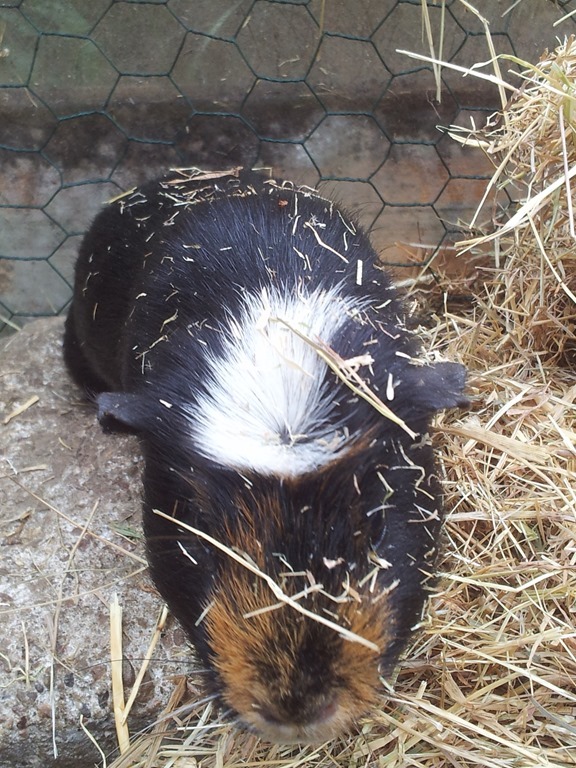 This entry was posted in Thoughts and tagged guinea pig, home by w7. Bookmark the permalink.